The Plan Praz Via Ferrata in Leysin follows the trend of the new physically challenging via ferrata routes: fun, slightly aerial, but physically challenging, with beams, rope bridges, walkways and ladders waiting for experienced climbers who will really enjoy the challenge! 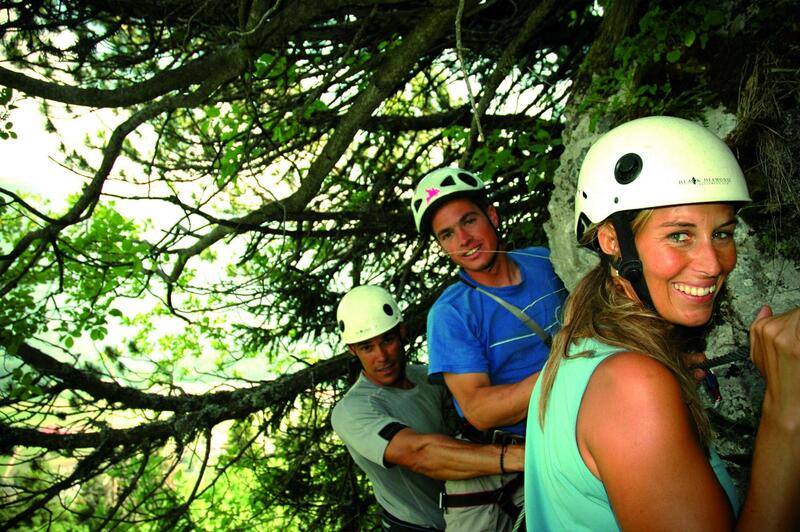 Considered very difficult, the Plan Praz Via Ferrata isn’t for everyone! It starts with its most physically demanding section, for strong climbers only! The challenges along the way include a rope bridge and a beam that’s quite difficult to get on to. After this intense section, the middle of the via offers a bit of respite, before requiring a bit of muscle again. The reward for all this effort is a lovely walkway through the trees. Ending with two ladders, the last section of the via also requires strength but after one to two hours of hard work, climbers will only want one thing: to start all over again! The Via Ferrata de la Tour d’Aï above Leysin is beautiful and intense. Those who embark on this somewhat technical climb are rewarded with a breathtaking view of the Vaudois Alps and Lake Geneva.